9.2.1993, Los Angeles: Material Girl Madonna opens the 1993 VMAs with a burlesque-inspired performance of "Bye, Bye Baby." 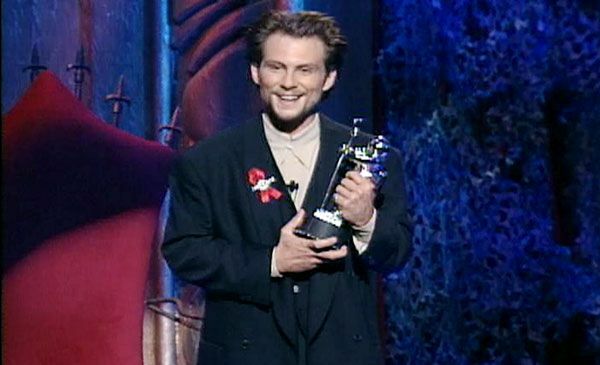 9.2.1993, Los Angeles: Just a week before the release of the Quentin Tarantino-penned True Romance, star Christian Slater hosts the 1993 Video Music Awards. 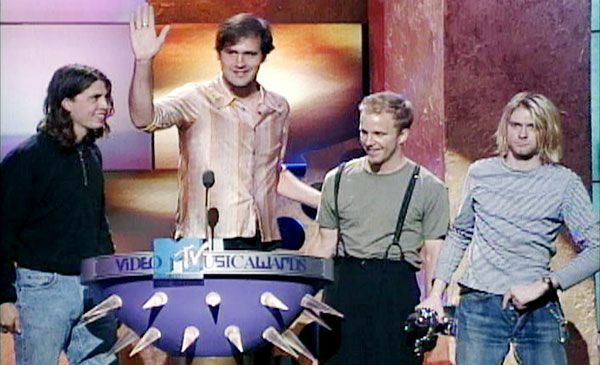 9.2.1993, Los Angeles: Kurt Cobain narrowly averts a wardrobe malfunction as Nirvana accepts the Best Alternative Video for "In Bloom" at the 1993 VMAs. 9.2.1993, Los Angeles: Anthony Kiedis of the Red Hot Chili Peppers lives up to the band's madman reputation, swallowing a banana as Flea and the Mad Hatter go on with the show. 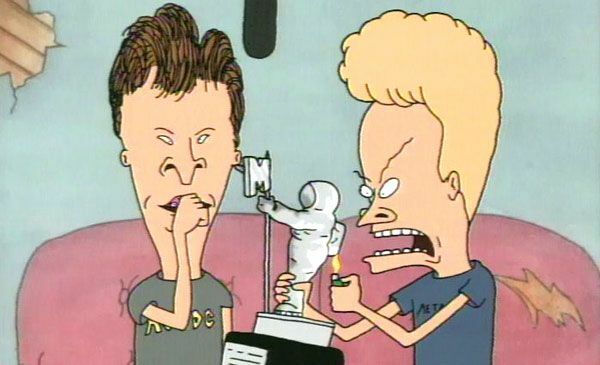 9.2.1993, Los Angeles: Delinquent darlings Beavis and Butthead torture a Moonman before presenting it... to their butts. 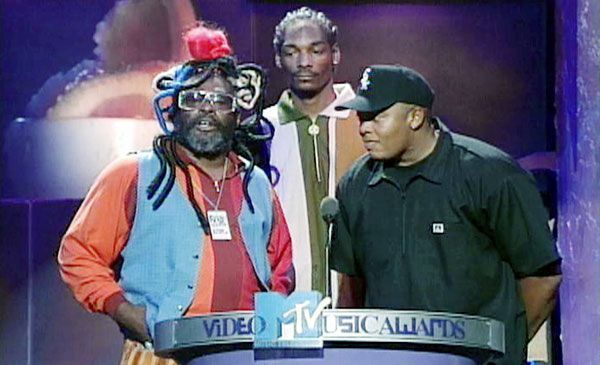 9.2.1993, Los Angeles: Living legends George Clinton (Parliament), Snoop Dogg and Dr. Dre present the Best R&amp;B Video Moonman at the 1993 VMAs. 9.2.1993, Los Angeles: R.E.M. 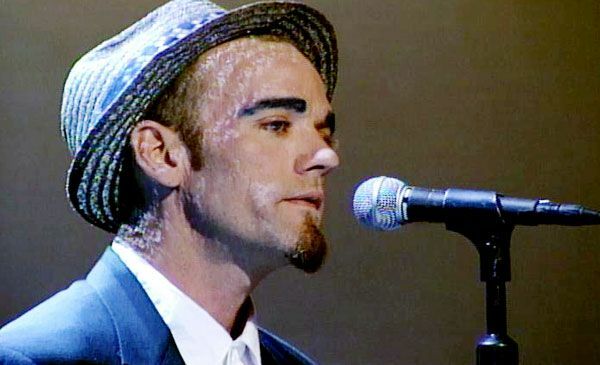 frontman Michael Stipe performs "Everybody Hurts" in a sentimental mood at the 1993 VMAs. 9.2.1993, Los Angeles: Milton Berle shoots the audience a sly glance after famously groping drag star RuPaul. 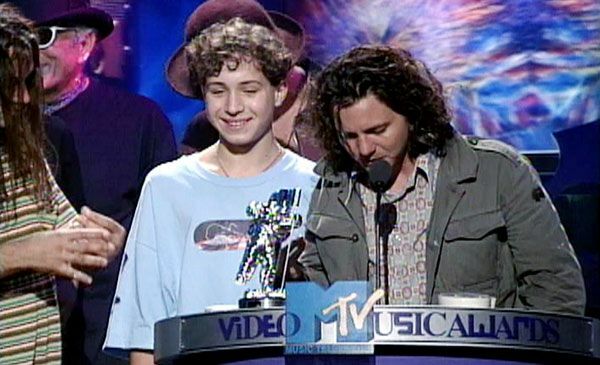 9.2.1993, Los Angeles: Pearl Jam bring 'King Jeremy the wicked' up to help them accept the Moonman for Best Video of the Year.